There are plenty of extensions out there for customizing Chrome’s New Tab page and Infinity is one of the latest ones to catch our attention. 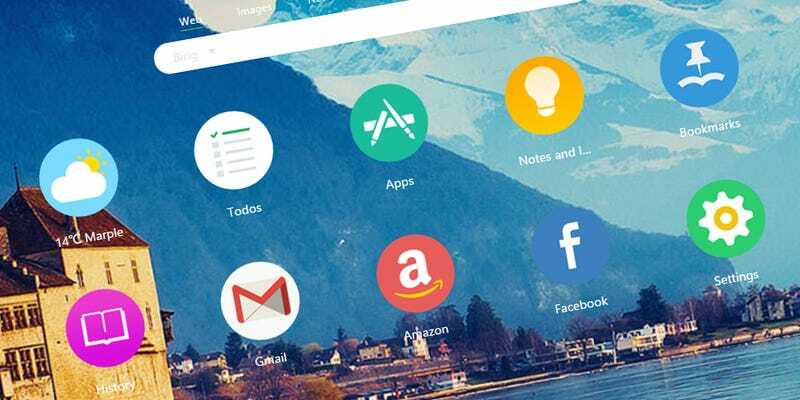 It creates a simple row of icons for speedy access to your favorite apps and sites, and you get convenient links to search and weather reports thrown into the mix, too. Here’s how to set it up. When you’ve got the extension up and running, you’ll see links to your apps, bookmarks, to-dos, and weather forecasts—the note-taking and to-do list utilities are built into the extension itself. Click on Settings to customize the row of icons that appear. You can also add new links via the large red plus icon in the top right corner. Switch to the Custom tab and the extension lets you add a link to any URL on the web (handy if you need to jump to your company’s CMS or a particular news site each morning). Via the Settings page, it’s possible to configure various aspects of the extension’s behavior, including sounds and icon appearance. You can customize the display theme, too. You can also choose which search engine Infinity uses via the drop-down on the left of the search bar and switch to a different wallpaper by clicking on the small paper windmill down in the right-hand corner. Infinity isn’t the most revolutionary app in the world, but it’ll suit a lot of people looking for something a little more from the New Tab page in Chrome.